Donnie Chandler served as Rainsville’s mayor for 10 years. Donnie Chandler, former mayor of the city of Rainsville, passed away last Friday at DeKalb Regional Medical Center. 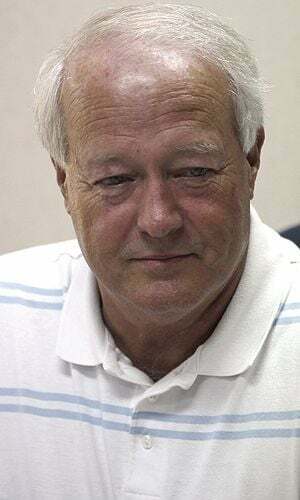 Chandler was retired from the Waterworks of Section and Dutton, the mayor of Rainsville for 10 years, a city councilman and served as the secretary and treasurer of the DeKalb County Mayors Association. Chandler is survived by his wife of 35 years, Peggy Smith Chandler, his son, Daniel Chandler and wife Shaina, grandchildren, Kellan and Cadence Chandler, mother, Frankie Chesser, brother, Wayne Chandler and his sisters, Jean McWhorter, Debbie Robertson, Carolyn Goza and Mary Rochester. He was preceded in death by his stepfather JB Chesser. Ledbetter said when he became mayor of Rainsville, he appointed Chandler as Mayor Pro Tem. The funeral service for Chandler was held on Sunday, Feb. 10 at 2 p.m. at Rainsville Funeral Chapel with Rev. David Starling officiating. He was buried in Rainsville Memorial Park.